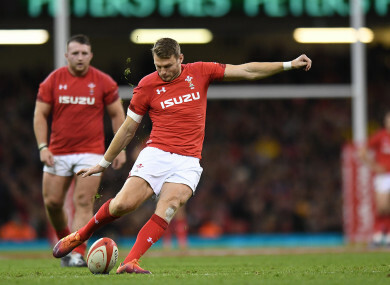 Dan Biggar in action for Wales against Australia. DAN BIGGAR HIT a late penalty to help Wales edge out Australia and buck a 10-year, 13-match losing streak against the Wallabies. Email “Late Biggar penalty ends 10-year wait for Welsh win over the Wallabies in low-scoring affair”. Feedback on “Late Biggar penalty ends 10-year wait for Welsh win over the Wallabies in low-scoring affair”.